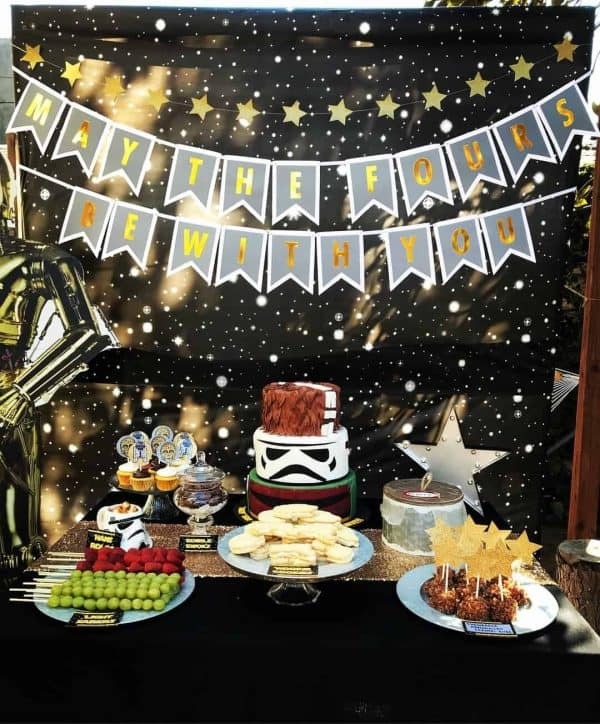 Star Wars Party Decorations: May the FOURS be with you! 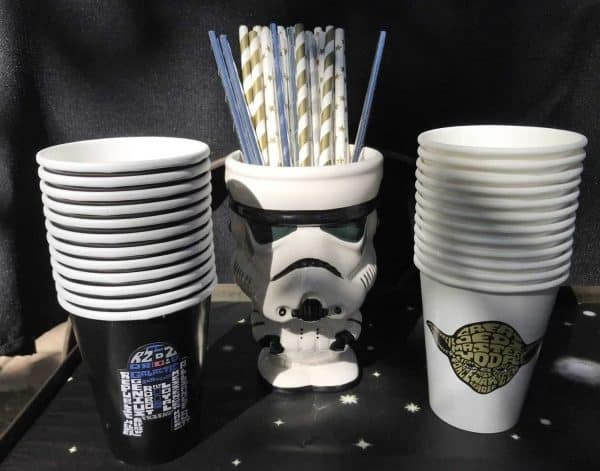 Star Wars Party Decorations: May the FOURS be with you! 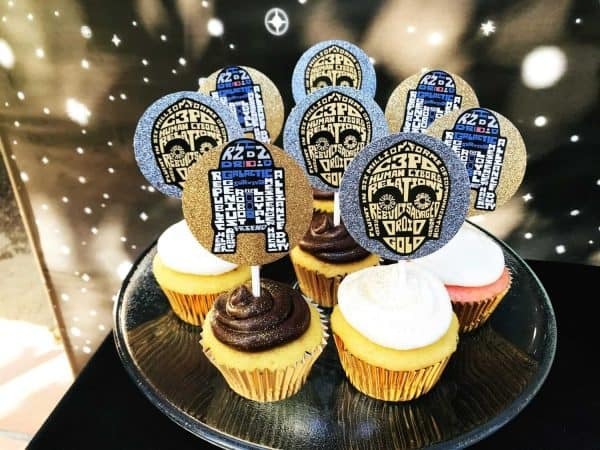 Looking for Star Wars party birthday decorations ideas? 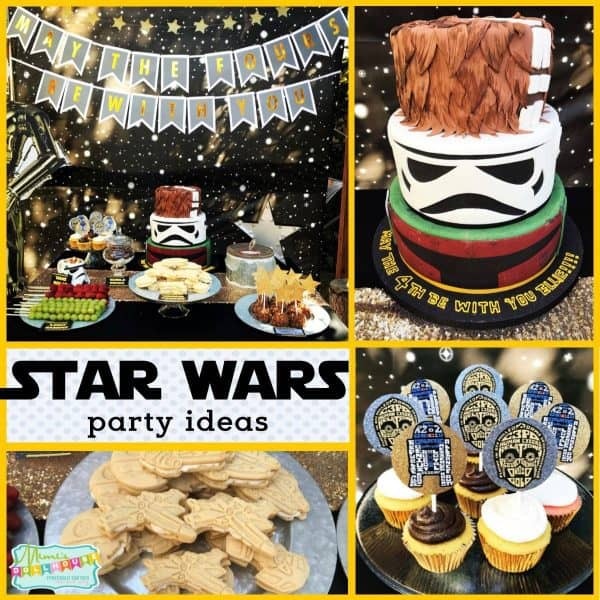 This party is full of fun Star Wars party decorations ideas and fun star ward treats! 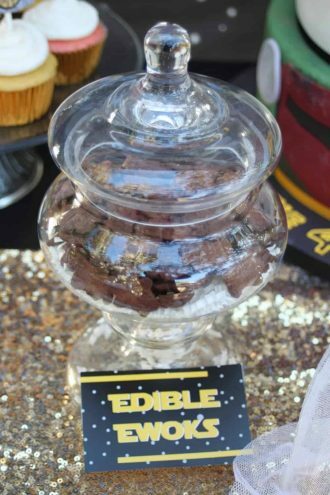 Be sure to check out all of our Star Wars Party ideas and inspiration! 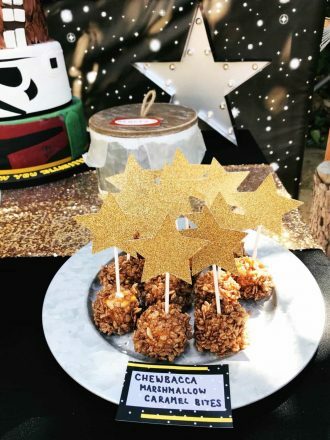 This fun galactic adventure was styled by Lori from Pop of Gold​ for her daughter’s 4th birthday. 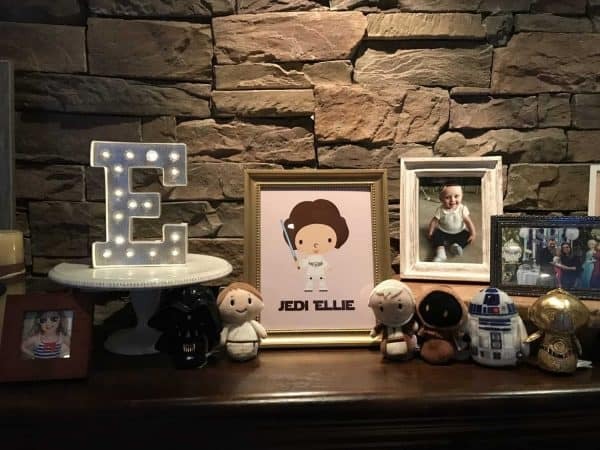 She knew that “May the FOURS be with you” would be the perfect theme for her little Star Wars fan. For the backdrop, she used a star print vinyl and some fun star garland. She even made the banner from card stock and sticker letters. 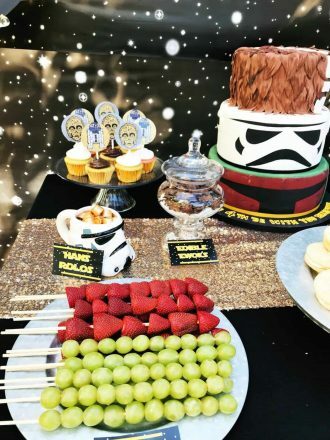 The dessert table had marshmallow Chewbacca bites, and fruit light sabers. She also had Droid cupcakes…yummy! 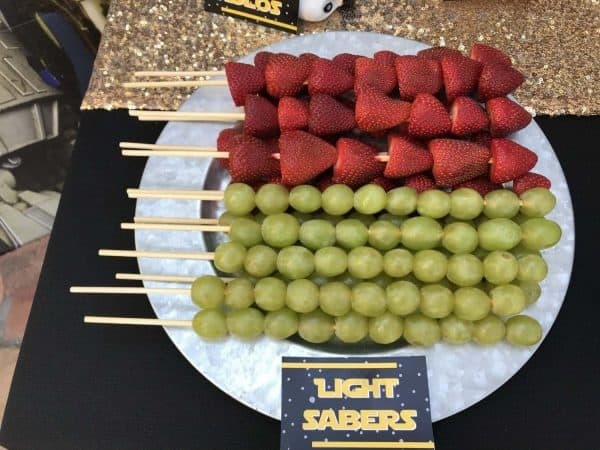 I love how the fruit-sabers are colored green and red like the light and dark side sabers. This is a super small detail that makes ALL the difference!! 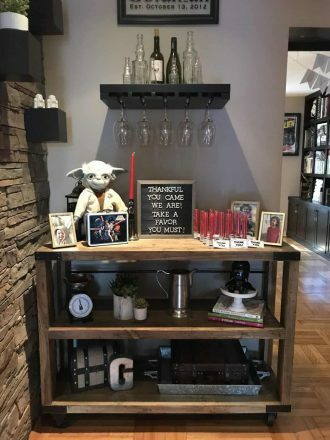 Lori incorporated some of her daughter’s Star Wars toys into the decor. This is a great budget-saving idea to personalize your party! 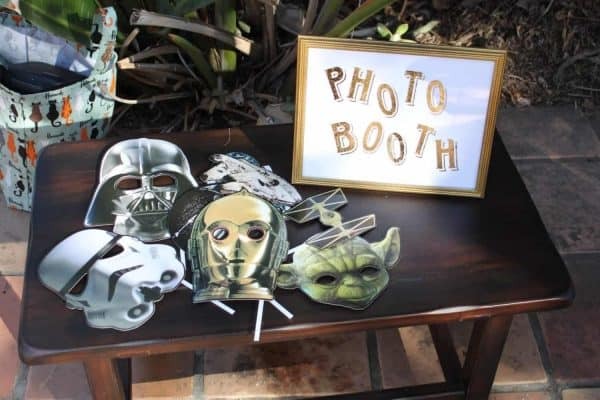 The photo booth was equipped with fun star wars masks. I also have some AMAZING star wars quote bubbles that are perfect for a Galactic Photo Booth!! The kids went nuts for the balloon artist and Darth Vader piñata! 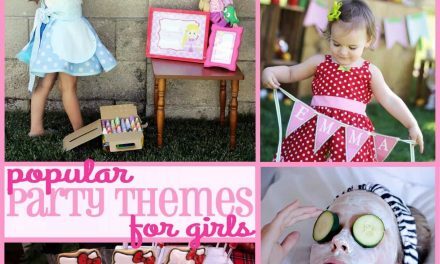 Such fun ideas for cute Star Wars activities. Also, I love all the themed food ideas. Too, too cute!! The decor was flanked with cardboard cutouts are different Star Wars characters and a fun Stormtrooper air walk balloon. These are fun and festive ways to make the cantina really come to life…”these are not the droids you are looking for” Love it!! This adorable Star Wars character cake was made by Charm City Cakes West. I love the Chewbacca fondant fur on the top layer. 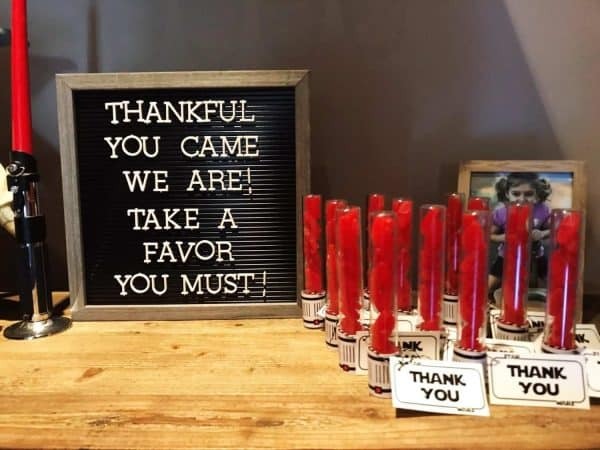 Finally, the party favors were candy light sabers – Candy tubes filled with swedish fish. 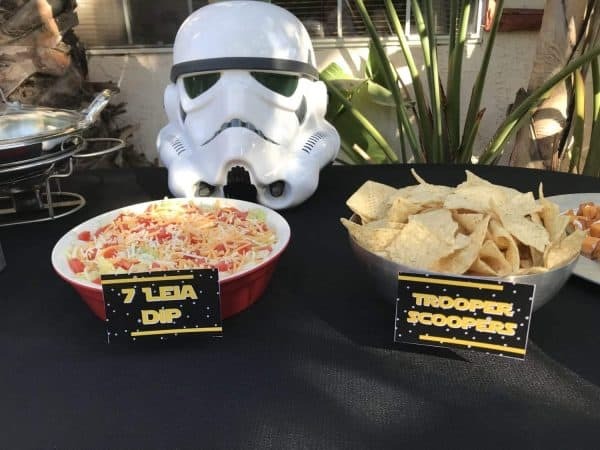 Looking for more Star Wars party inspiration? 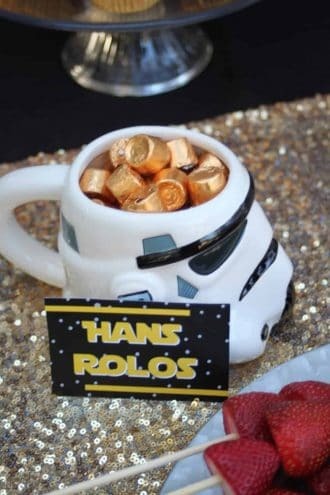 This party is FULL of star wars themed birthday party ideas! 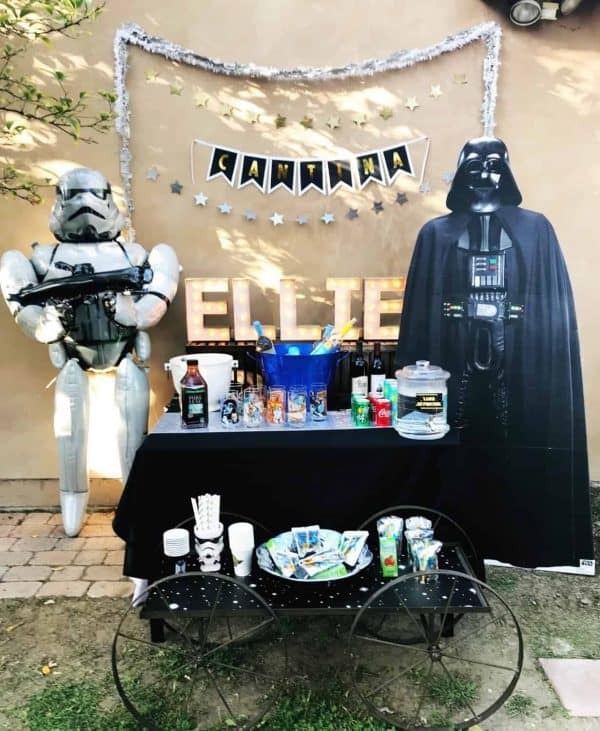 What adorable Star Wars party decorations!!! I love all the details. 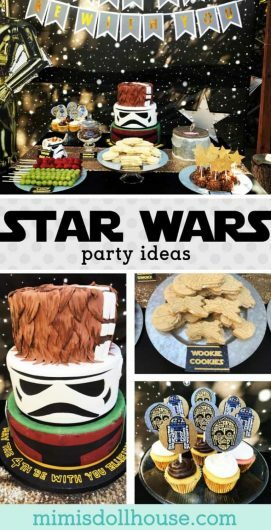 Be sure to check out all of our Star Wars party ideas. I love it! Such cute details for a 4 year olds birthday!!! Perfect timing for a Star Wards themed party too. I seriously love all of your decoration posts. I know this was for a 4 year olds birthday party, but I have to say if I had this party set up for my dad he would be equally as thrilled! lol! This is the BEST decor. We are huge Star Wars fans here. 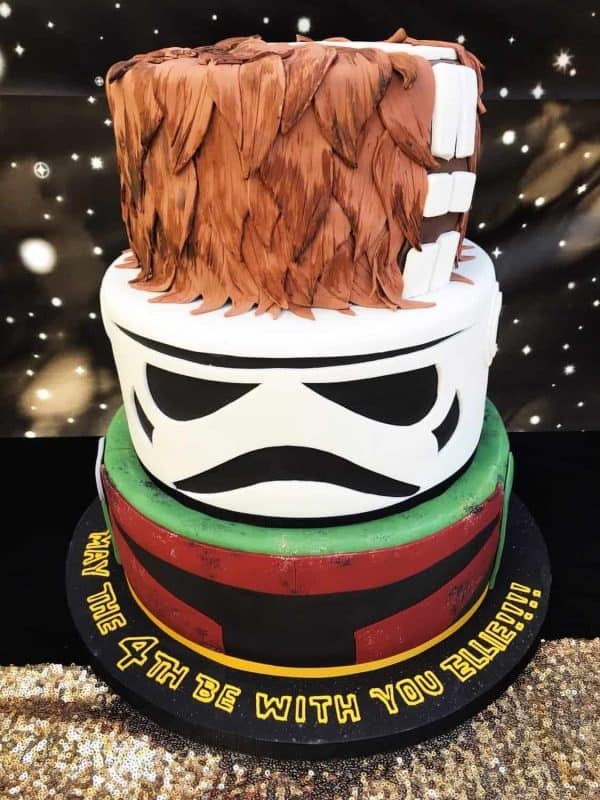 I love that Wookie cake. My boys were just talking about this day. This day is also my anniversary and the boys wanted to know if that was the reason we selected that day but it is not. Such a cute idea! My niece would LOVE this theme! Shes a huge fan. this is such a fun idea, my friend’s kids would love it. these are fun details to make it much personal and loving. Everything about this is amazing! Looks so well organized and fun. Love it! These are great tips for a fun party. Thank you so much for all this information. That is so helpful. I love this Star Wars theme. How creative and healthy light sabers you have! Sounds like the perfect party for tomorrow. It’s is May the 4th of course. So May the Fourth be with you!!! So many cute decorations! 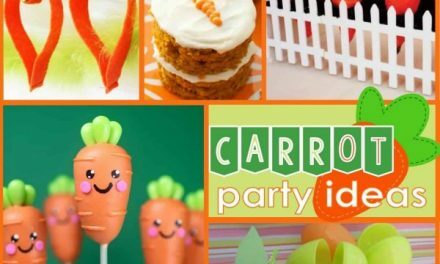 I know lots of kids that would love this party idea! This is such a cool party theme! 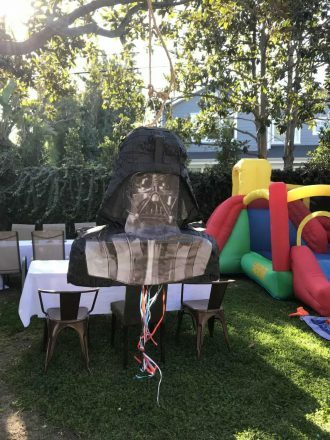 I’d go crazy for a Star Wars Piñata too! These party decorations are FAB! We especially love the cake. Such wonderful details! This is literally the cutest party Ive ever seen! What a creative party idea! You did an amazing job! 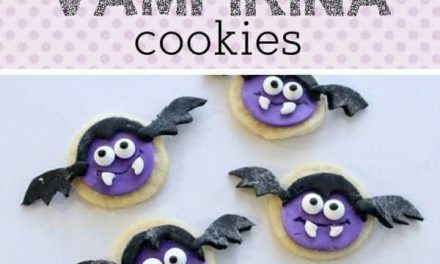 I love how creative these treats turned out. 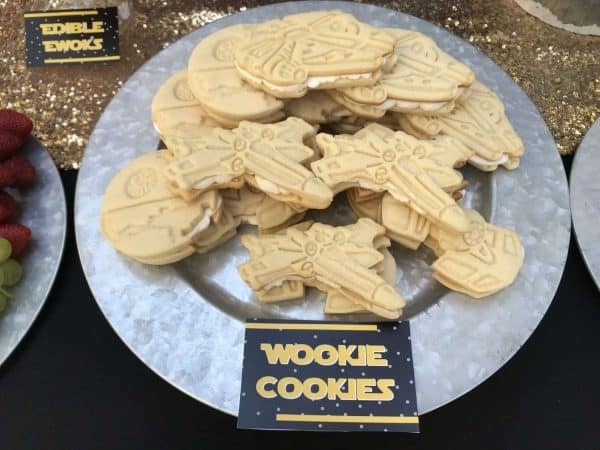 Chewbacca treats look delicious!